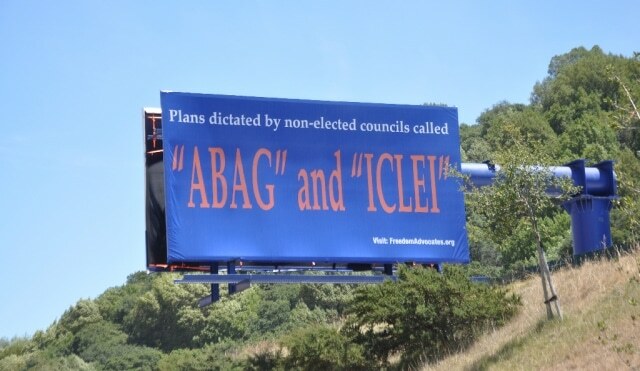 Regional government organizations like the Association of Bay Area Governments (ABAG) are usurping sovereignty and control from our locally elected city, town and county officials. ABAG regulators are unelected and unaccountable to the citizens, and are implementing policies created by international organizations such as the United Nations and ICLEI (Local Governments for Sustainability). It doesn’t stop there – The map to the left shows the so-called “Councils of Governments” (COGs) as represented by the California Association of Councils of Governments (CALCOG). 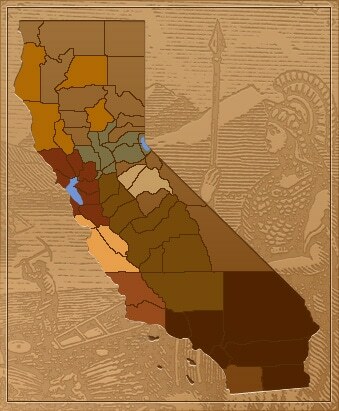 The entire state of California is being transformed. California belongs to its citizens and they alone should determine our future. We intend to tell the story and turn the tide against globalization in order to restore local control to where it belongs. 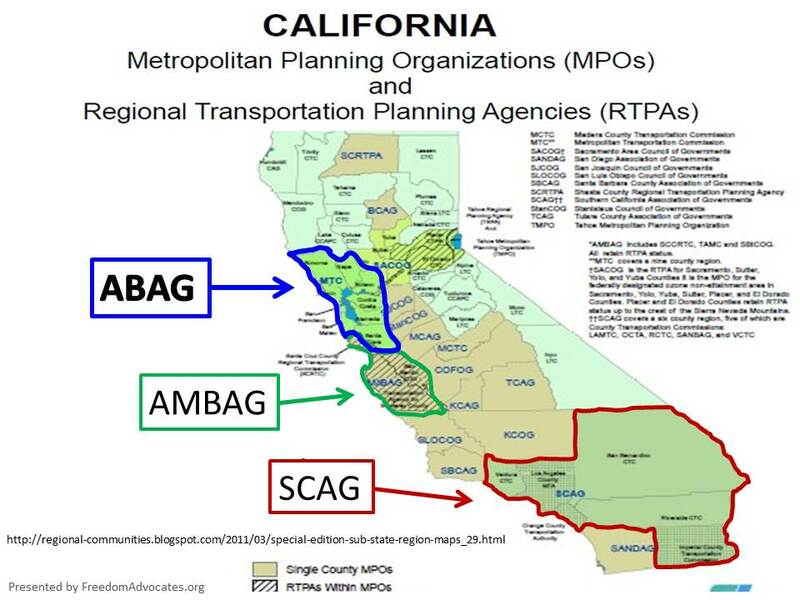 ABAG is working to politically “regionalize” the San Francisco Bay Area. 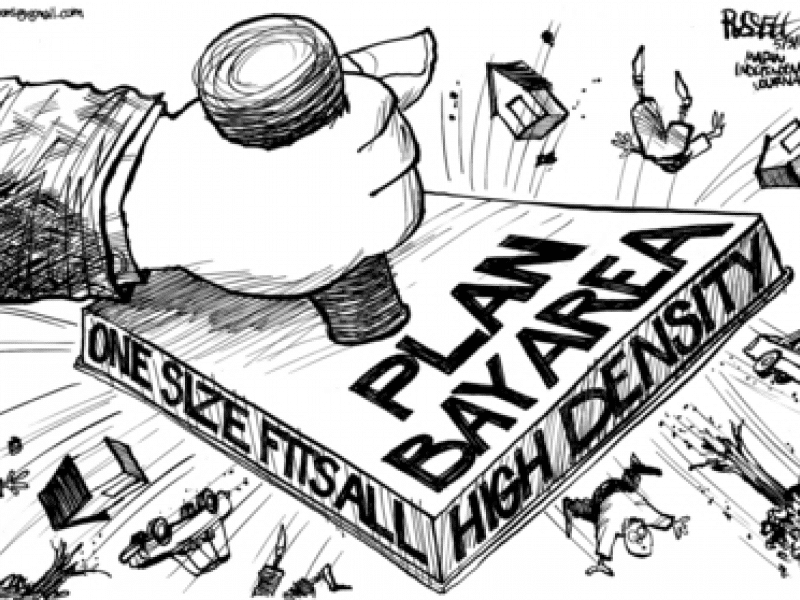 The plan is called “One Bay Area” or “Plan Bay Area 2040”. This site seeks to summarize and illustrate how ABAG is seeking to regionalize 9 counties in their proposed One Bay Area/Plan Bay Area 2040 edict. Opposition to this program is evidenced with our lawsuit filed against ABAG. Citizens for Free Speech has constructed Billboards that notice the public of ABAG’s objectives and activities. The Press has been totally silent on this issue. 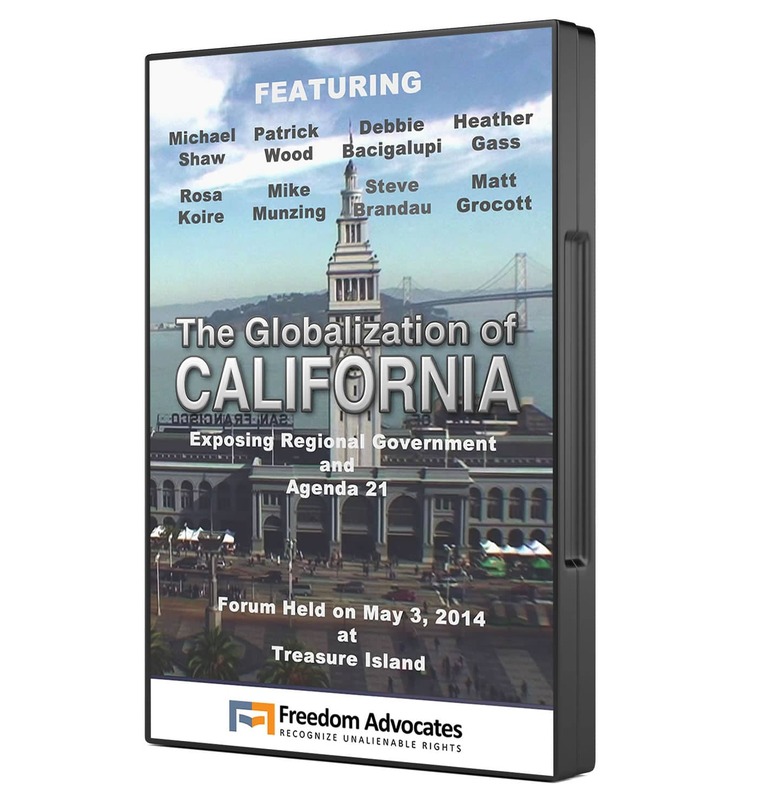 In 2014, Freedom Advocates sponsored a one-day speaking event in San Francisco called The Globalization of California Forum. This Forum fully addresses the issues raised and the consequences of implementing Plan Bay Area. A leading example of regional control is emerging in the San Francisco Bay Area. There, the COG is known as ABAG, the Association of Bay Area Governments. ABAG, in association with ICLEI (International Council for Local Environmental Initiatives) has launched the “One Bay Area” program known as Plan Bay Area 2040. One Bay Area or Plan Bay Area 2040 is the local federalized and internationalized plan for the implementation of Agenda 21. 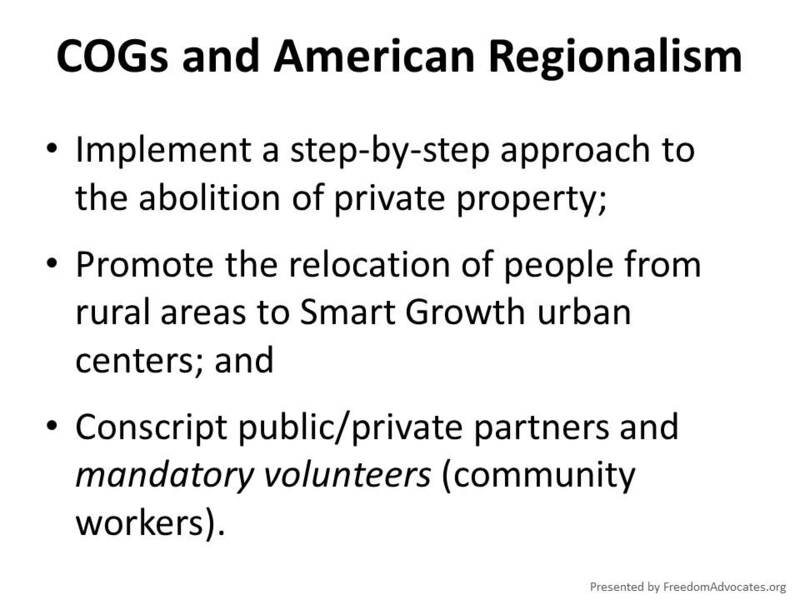 This 9 county, 101 city (with a combined population of 7 ½ million people) “regional” plan is designed as a full commitment to the collectivist program of Smart Growth and wild area set asides. To accomplish this and much more, the federal government has committed a quarter of a trillion dollars to ABAG’s Plan Bay Area 2040 program! Despite widespread opposition as Plan Bay Area 2040 was rolled out, the plan is moving forward pursuant to a shortened and rigged approval process – a sign of things to come all across the country. ABAG and Plan Bay Area 2040 evidence that government no longer operates pursuant to Constitutional design. As a result, we all lose government protection and defense of unalienable rights. 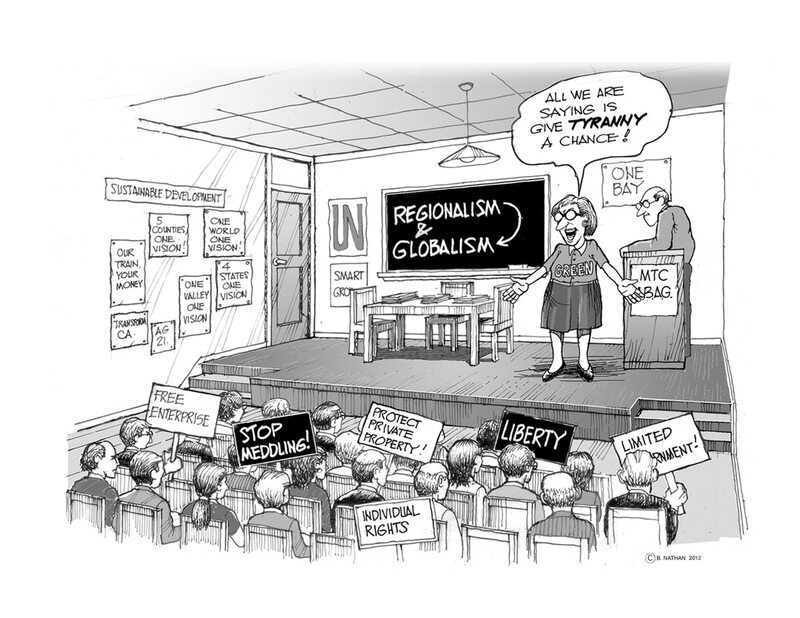 Read full “Regionalism – The Blueprint for Your Serfdom” article here.